The Facebook-WhatsApp deal, valued at $19 billion, has officially closed. Facebook first announced the acquisition in February, and the Federal Trade Commission gave it the thumbs-up in April. We are looking forward to connecting even more people around the world, and continuing to create value for the people who use WhatsApp. The acquisition was accomplished by the merger of Merger Sub with and into WhatsApp (the ” First Merger “), and upon consummation of the First Merger, Merger Sub ceased to exist and WhatsApp became a wholly owned subsidiary of Acquirer. The surviving corporation of the First Merger then merged with and into Acquirer, which will continue to exist as a wholly owned (in part directly and in part indirectly) subsidiary of the Company. At the closing, all outstanding shares of WhatsApp capital stock and options to purchase WhatsApp capital stock were cancelled in exchange for an aggregate of 177,760,669 shares of the Company’s Class A common stock and approximately $4.59 billion in cash to existing WhatsApp securityholders. A portion of the aggregate consideration is being held in escrow to secure the indemnification obligations of the WhatsApp securityholders. In addition, the Company awarded 45,941,775 restricted stock units (” RSUs “) to WhatsApp employees. On the closing date, Jan Koum, WhatsApp’s co-founder and CEO, became a member of the Company’s Board of Directors (the ” Board “). Koum, who will make an annual salary of $1, netted 24,853,468 shares of Facebook stock and $1.97 billion in the deal. A portion of the cash will be held in escrow to secure the indemnification obligations of the WhatsApp securityholders. Koum is the newest member of Facebook’s board of directors. Co-Founder Brian Acton also received 12,621,803 RSUs. 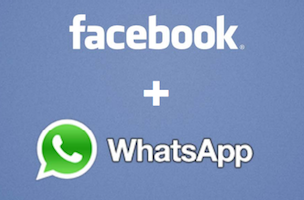 Readers: How do you think WhatsApp will change (or will it) under Facebook?